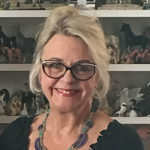 This is the educational branch of Barbara Turner’s work, dedicated to the dissemination of training in Jungian Sandplay Therapy to mental health clinicians. We offer online courses and in-person trainings. Please take a look and get back to us with any questions. Watch this introductory video at your leisure to learn about Jungian Sandplay and what Training is required, and to be Registered as a Sandplay Therapist with the Association for Sandplay Therapy. Barbara Turner began her study of Jungian Sandplay therapy with the founder of the method, Dora M. Kalff, in Switzerland in 1988. She has done extensive research into the theory and healing process of Sandplay. She focused her doctoral studies on the Sandplay method, writing her dissertation on methods of understanding Sandplay process. Dr. Turner was instrumental in returning the classic books in Sandplay to print, and is the author of what is considered by some to be the authoritative text on Jungian Sandplay, The Handbook of Sandplay Therapy, now translated into Korean, Chinese, Russian and Italian. The Handbook is the most read book on Sandplay around the world. She teaches Sandplay therapy to mental health clinicians internationally, and serves as consultant to practicing Sandplay & play therapists. Dr. Turner has co-authored with Dr. Kristín Unnsteinsdóttir, Sandplay and Storytelling: The Impact of Imaginative Thinking on Children’s Learning and Development, as well as Sandtray Play in Education. 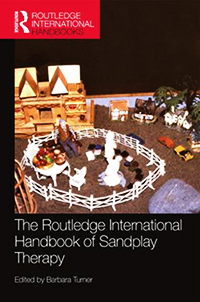 She is also the chief editor of The Routledge International Handbook of Sandplay Therapy. Dr. Turner is the founder the Association for Sandplay Therapy – AST, the international professional organization dedicated to maintaining the core principles of Sandplay in our work and teaching – clarity, loving kindness & humility. Barbara A. Turner, PhD is approved to offer continuing education hours and/or training hours by the Association for Play Therapy – APT Approved Provider No. 00-079 and maintains responsibility for the program; by the Association for Sandplay Therapy as a Registered Sandplay Therapist – Consultant Teacher. Please note that the Association for Play Therapy maintains the authority to Approve of APT Approved Provider courses & trainings. Copyright Notice: All Sandplay Distance Learning content is protected under Copyright and is for the exclusive use of Registered Participants. Unauthorized reproduction or use of any or all of this material in private or public settings is a violation of the United States Copyright Act and is punishable by law.